Ultra high-end 2013 construction in a luxurious free-standing townhome featuring 4 BD/4.5 BA+office. 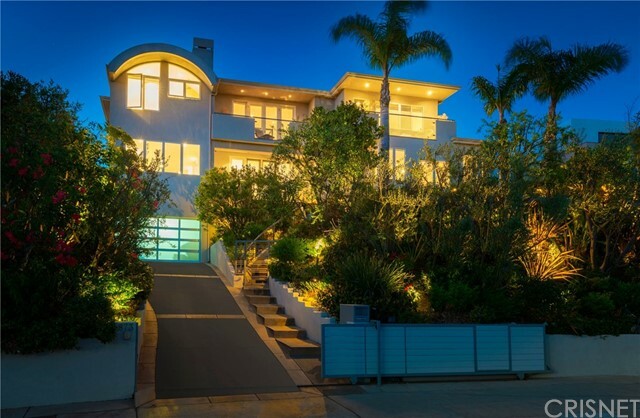 Located on a peaceful tree-lined street in an A+ Brentwood loc. This pristine, gated, light-filled home has an expansive flr plan w/4 en-suite bedrooms & a downstairs office. Dramatic 10' ceilings complement the formal living & dining rms which are adorned w/custom raw silk drapes & Hunter Douglas shades. From the living rm, French doors lead to a large private outdoor patio w/lush landscaping, ideal for seamless indoor/outdoor entertaining. Designer gourmet kitchen incl Thermador stainless steel appliances, Italian designer cabinets, quartz countertops w/adj family rm. Elegant Master suite w/fireplace offers 2 separate walk-in closets; Master bath w/Carrara marble flrs, free-standing bathtub, sep rain shower & double sinks. Special features incl dual tankless water heaters, 2-zone A/C, Sonos system, attached 2-car garage w/direct entry.Within close proximity to upscale shopping/dining. Based on information from California Regional Multiple Listing Service, Inc. as of 4/19/2019 1:13:39 AM PDT and /or other sources. All data, including all measurements and calculations of area, is obtained from various sources and has not been, and will not be, verified by broker or MLS. All information should be independently reviewed and verified for accuracy. Properties may or may not be listed by the office/agent presenting the information.